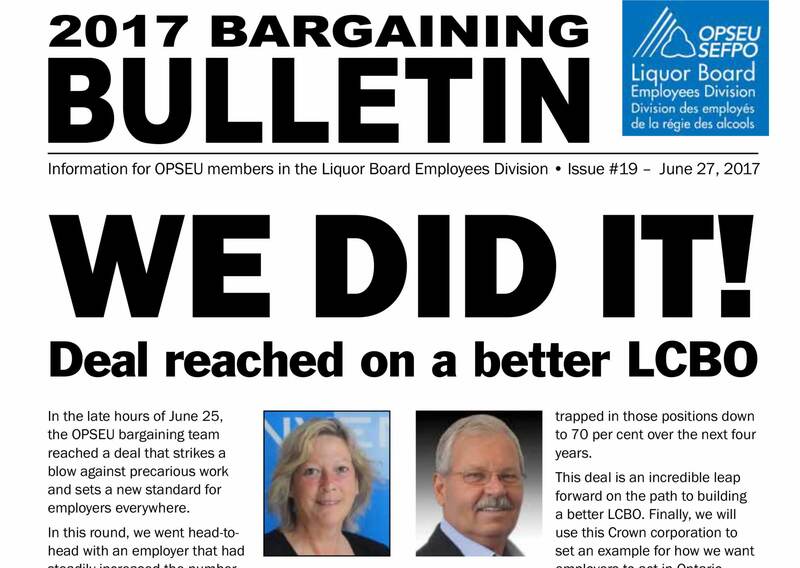 A ratification vote has been scheduled for July 18 and 19 for OPSEU members at the LCBO. Last Updated: July 18, 2017 10:00 a.m.
Part One: strike/lockout information General Q1. Are we going on strike? In the event of a strike or lockout, OPSEU members at the LCBO will receive strike pay from the union by direct deposit to their personal bank or credit union accounts. Use the links below to view the opening proposals from the union and the employer. Please note that these are only the non-monetary items, as monetary proposals have not yet been exchanged.